This post first appeared on Tatertots and Jello in November 2016. The Christmas decor is slowly and surely making its way out into my house. 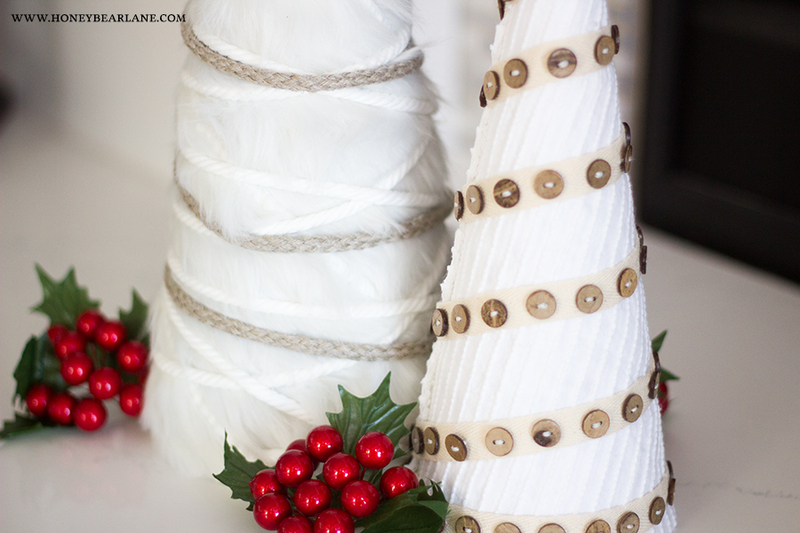 Today I’m sharing a super simple and quick Christmas craft that you can use to decorate for Christmas. 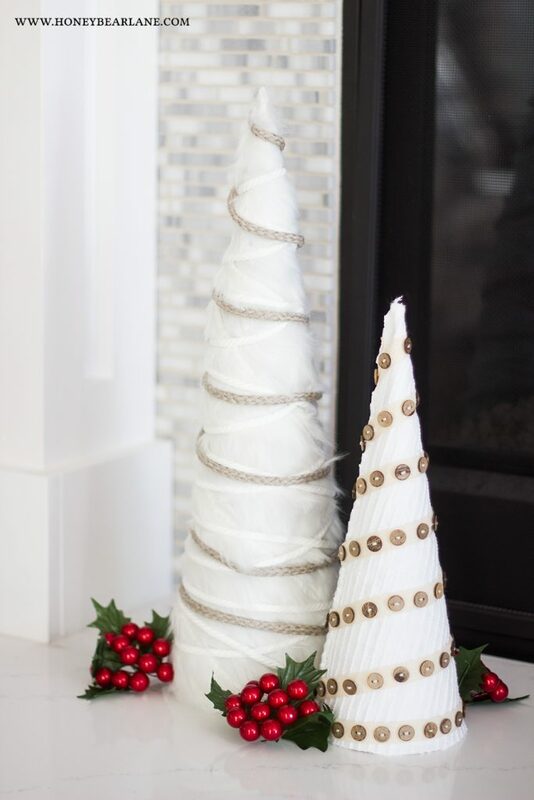 It’s DIY white Christmas tree craft…farmhouse style! I really love farmhouse style decor. 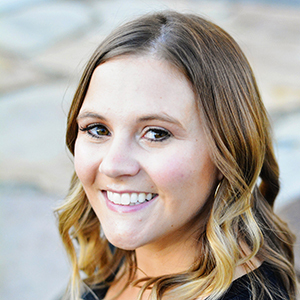 It keeps to a simple color scheme–very neutral with pops of color found in nature like red, green, blue, brown, etc. Elements I used for these trees are faux fur, braided cord, chenille fabric, and button ribbon. 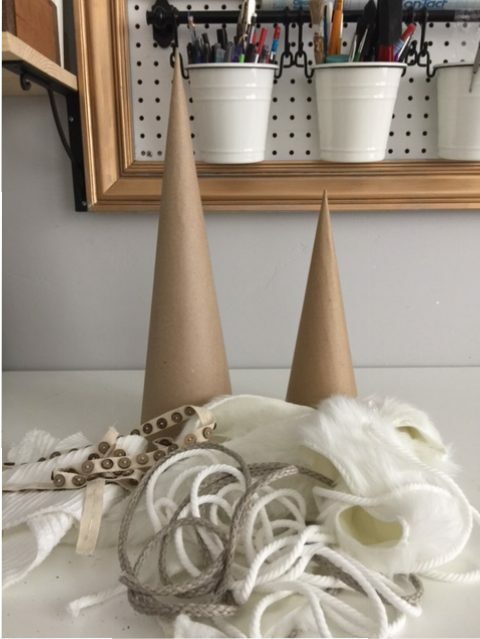 I found all of these at Hobby Lobby but you can also find some of them in the links below for your convenience (affiliate links) or you can find most of these things at any craft store. 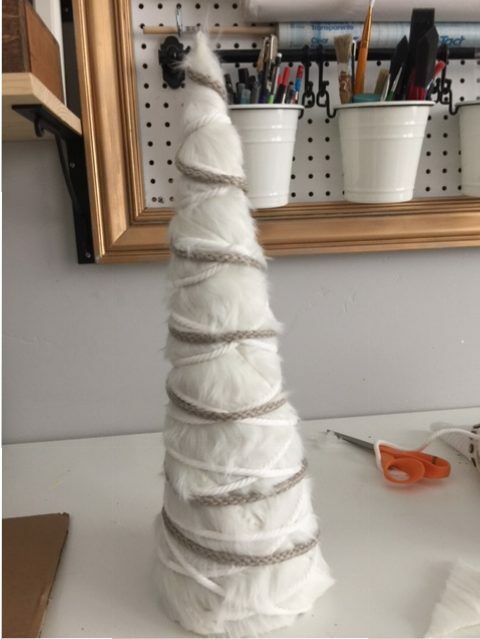 For the “fur” tree you start by cutting your fur ribbon at an angle and making sure that the nap of the fur is pointing down, wrap the fur around the tree form, securing in place with hot glue. Don’t burn yourself like I did! 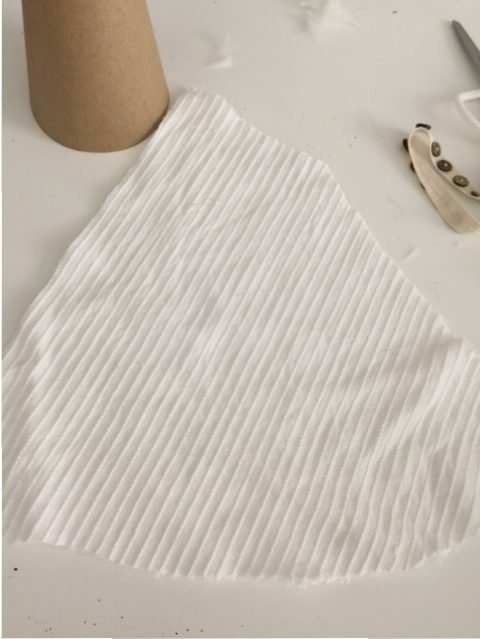 It won’t wrap all the way around and sit flat, so you will have to do it in sections. Just make sure you start all the pieces in the same place and that can be at the back. 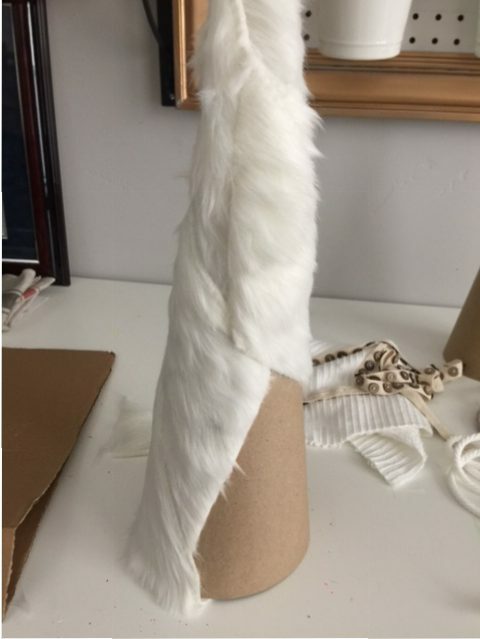 Since it’s furry and wrapped with the cord you really won’t notice it after it’s finished anyway. I also saw these made with faux fur fabric and you just wrap the fur around like the chenille fabric in the steps below. 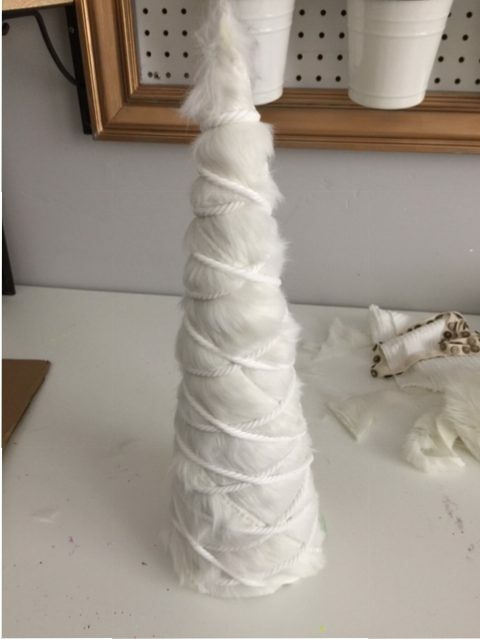 After the entire form is covered in the fur and you’ve trimmed off the bottom, wrap the white cord first, going up to the point and then back down, making a criss-cross pattern. Repeat with the hemp color if you want. I only had enough to go around once time. I wanted to use the hemp color to tie in the button tree so they’d look like they went together. I secured the ends of the cord with more glue. 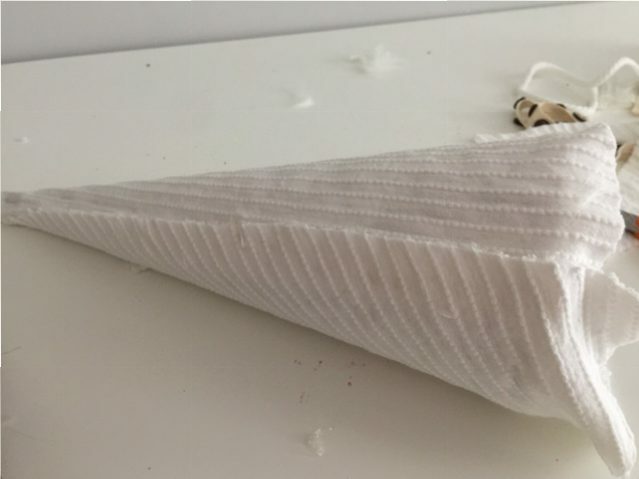 For the button tree, cut a piece of fabric in a triangular shape. Wrap the fabric around the form and trim to size. I opted to have the soft fuzzy part on the inside so I could see the lines. Glue in place and trim. 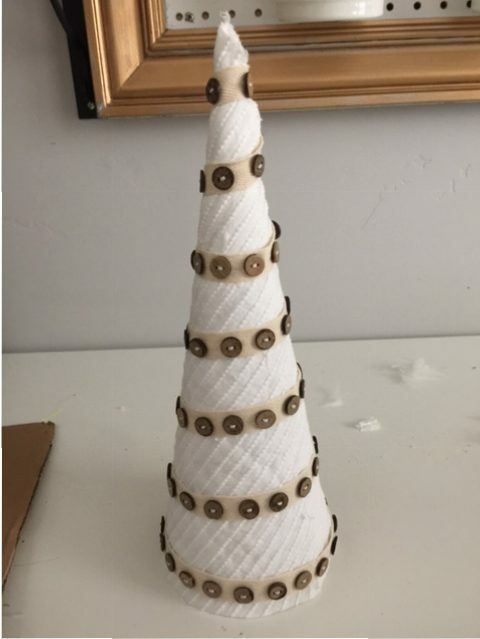 Wrap the tree with the button ribbon and secure with more hot glue. And you’re done! 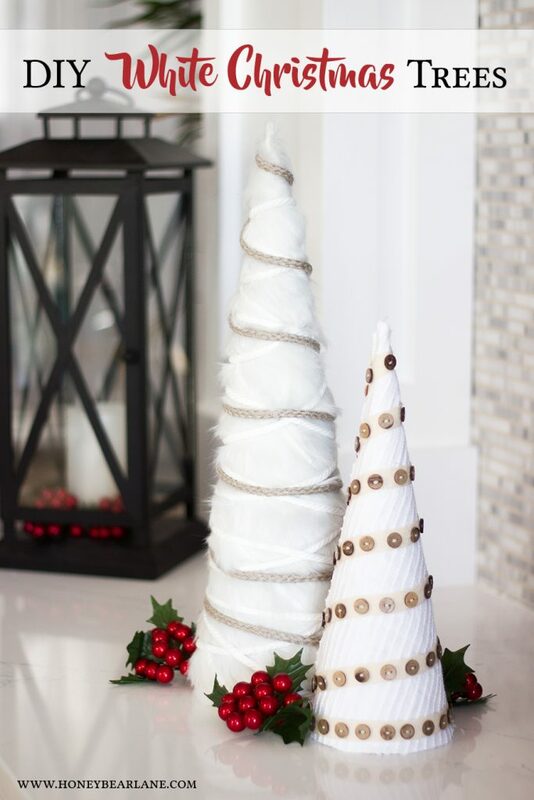 You can do so many things with Christmas tree craft, just pick any combination of ribbons you like. It would be really pretty with a red satin ribbon!